I was chatting with Cameron Huddleston of Kiplingers yesterday about how to tell if your gift is going to be returned when I had a realization. I have given some truly terrible gifts. So bad that the recipient should have cut me out of their lives. Have you ever given a really bad gift? Please tell me I’m not alone!!! Can you believe I gave these terrible gifts? 1. I spotted a blue T-shirt at Goodwill that said “Say HI to your Mom.” Remember the Mark Wahlberg joke on SNL? The T-shirt was funny and really soft, and so I bought it for my husband, who loves quirky T-Shirts. When I showed it to him, he reminded me, “My mom died.” Um, right. Still not sure how I *forgot* that one. 2. See’s candy for my Mom, who specifically said she is trying to eat less candy. I convinced myself that it would be okay because I know she still loves candy, and I knew she would end up eating it. I should have supported her new pledge instead of tempting her to return to her candy habit. Update: I skipped the chocolate this year for my Mom in lieu of a pair of socks and restaurant gift certificate. However, I’m still hoping to receive a lot of See’s candy in my stocking! 3. A newborn onsie that said “I’m the little sister.” Only problem was, the baby was a boy. AND I KNEW THAT! Somehow, in the flurry of the baby store, thinking of the baby’s big sister, the onsie made sense. I was also pregnant at the time, and you know how that scrambles your brain. My friend later gave it back to me, after my second daughter was born, and said gently, “Maybe you can use this.” Included in the gift was a brand new outfit for a boy. I think that was her way of forgiving me. 5. A cookbook for a master chef. Before I met my mother-in-law (from my first husband), he told me this about her: “She is a master chef.” Everybody thinks their Mom is a great cook, I thought to myself. But no, she was the real deal. Her food was amazing. She could pull together a full dinnerfor 10 people with fresh rolls, salad, and three courses in an hour without stressing out. Well it turns out a master chef doesn’t need cookbooks. She was quite happy with the ones she already had and was a tad offended that I had implied she needed another one. Oops! 6. A book that called my sister fat. Years ago my sister mentioned wanting to train for and do a triathlon (swim, bike, run). A tri would help her get in shape, which was something she really wanted to do. What would encourage my sister to reach her goal? A book about running a tri! 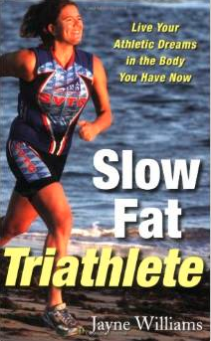 I searched and search until I found the perfect gift: Slow Fat Triathlete: Live Your Athletic Dreams in the Body You Have Now . I latched onto the second part of the title, not realizing that in essence, I was calling my sister fat. I still can’t believe that she didn’t chew me out. What are the worst gifts you’ve given? 10 FREE eBooks: Homemade Chips Recipes, The Good Soldier and More! @Jennifer HAHAHAHAHA that is terribly funny. What WERE you thinking? I know sometimes in the heat of the moment a gift seems like a great idea. What was her reaction? LOL She had a good laugh and swore she loved it. For Christmas this year, I’m giving her the a very similar sweatshirt — covered in french fries!!! I could not resist. You did it again with an absolute hilarious post like the old days when I would read your blog in the computer lab of my graduate school and fall of my chair laughing. Tonight tears rolled down my face! So funny! I think this should be re-posted annually, we all need ccomic relief during the holidays. @aicha k scott So glad you loved the post! I will repost next year, though you may need to remind me! What would you put on your list of “worst gifts”? I think some of your gifts were very thoughtful. 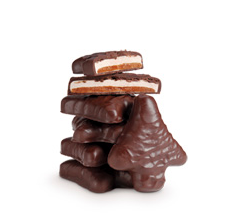 I try to limit sweets myself, but a box of See’s candy would be very much appreciated! A couple of pieces a day wouldn’t hurt. I remember buying a box of See’s for my mother when I came back from a trip to California (can’t find it here in NY), and she really loved it and kept going on about how delicious it was! I personally wouldn’t take offense to either of the books you gave as gifts. 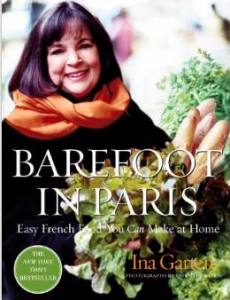 Even if I was a gourmet cook, I would appreciate a book that might give me tips or new ideas. And even though ‘fat’ is in the title of the triathlete book, I’m sure your sister realized that you were just trying to help her reach the very goal she had talked about. My worst gift? Anything I pick out for my teenage daughter! She has to give me a very specific list, or I end up on return lines the day after Christmas, lol! @Denise Thanks for your vote of confidence. I suppose some of my “worst gifts” weren’t as terrible as I thought they were. Certain people are very hard to buy for, I agree!